The Samsung Galaxy Tab is set to release in the UK on November 1st. 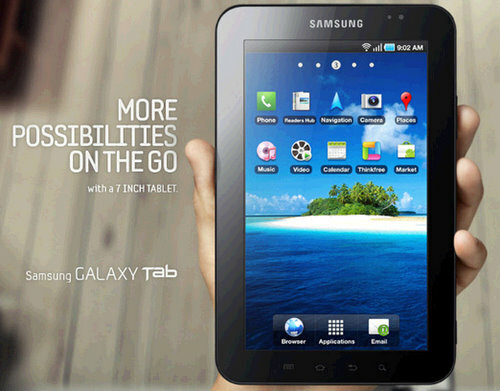 However, what is still up in the air is when the Galaxy Tab will hit the US market. However, new rumors are out today speculating that Verizon may be releasing a Galaxy Tab Android tablet on November 1st, right along with their UK counterparts. Along with that rumors comes another stating that Sprint will release the Galaxy Tab on November 14th in the US. So regardless of who releases the Galaxy Tab Android tablet when, suffice it to say that we will more than likely see that it here in the US sometime next month (November).